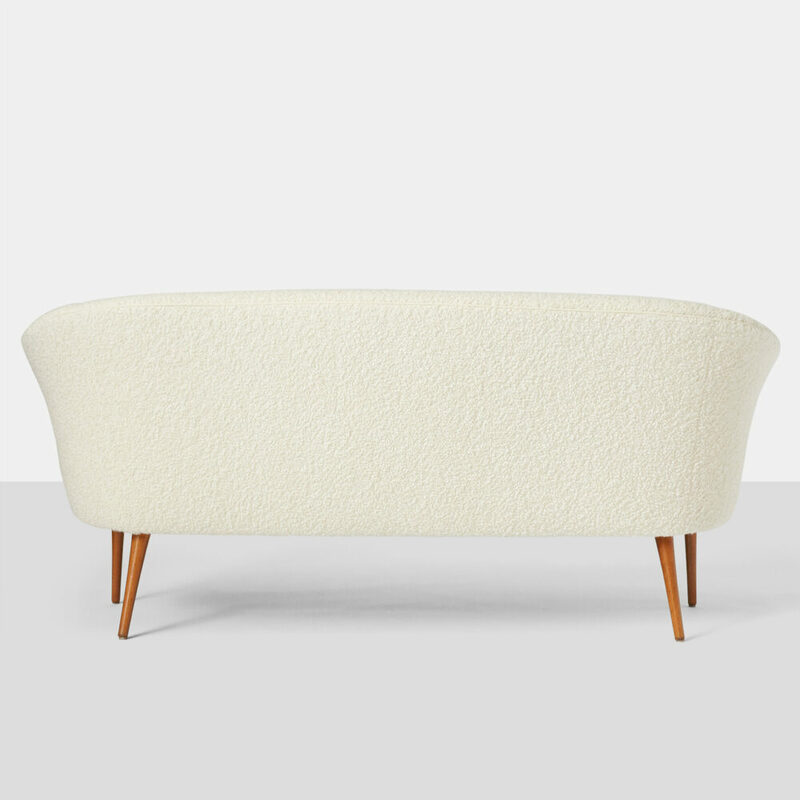 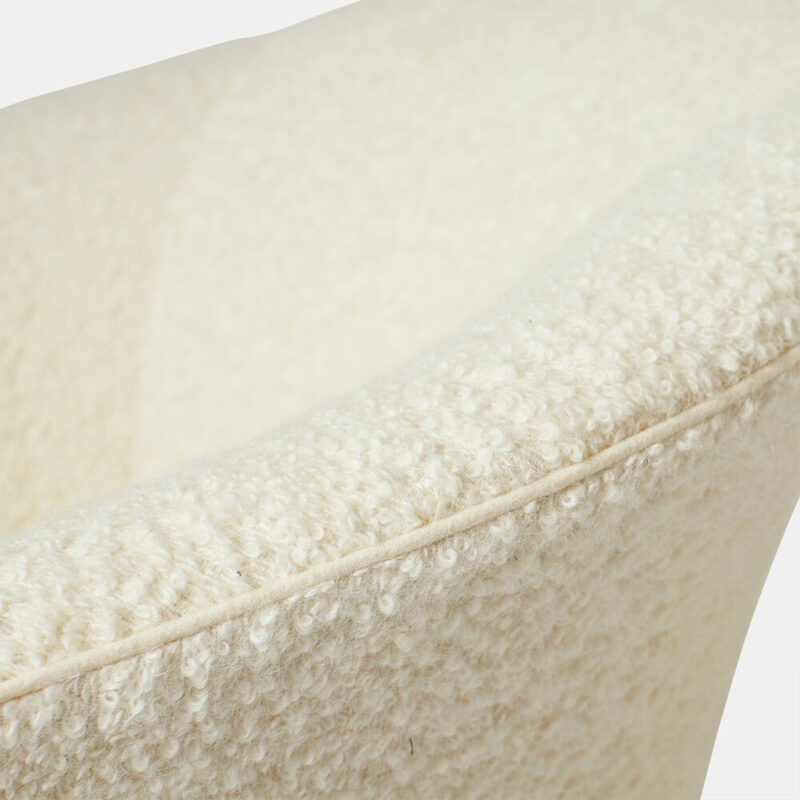 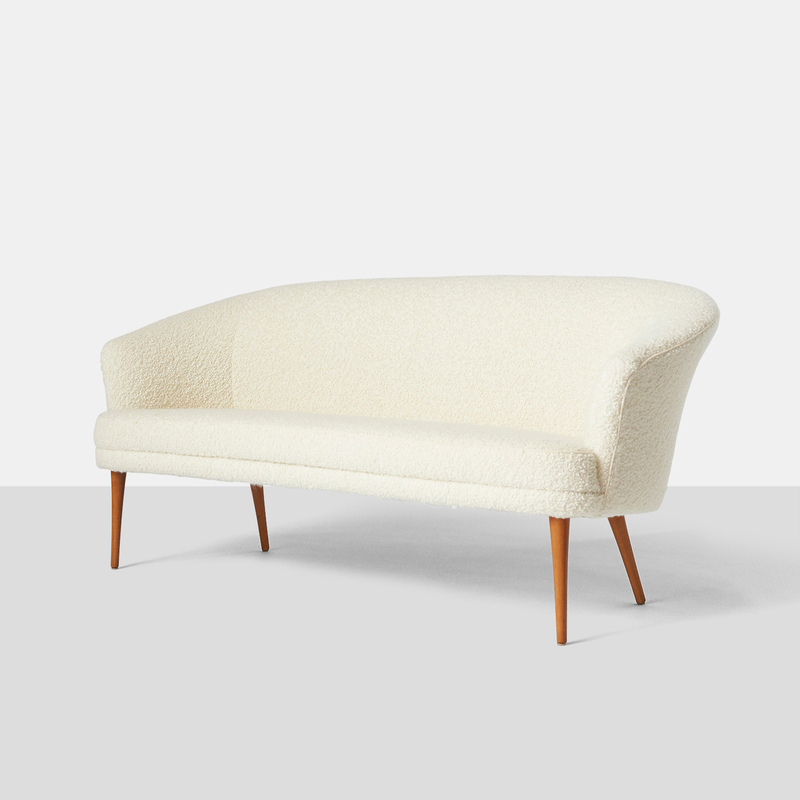 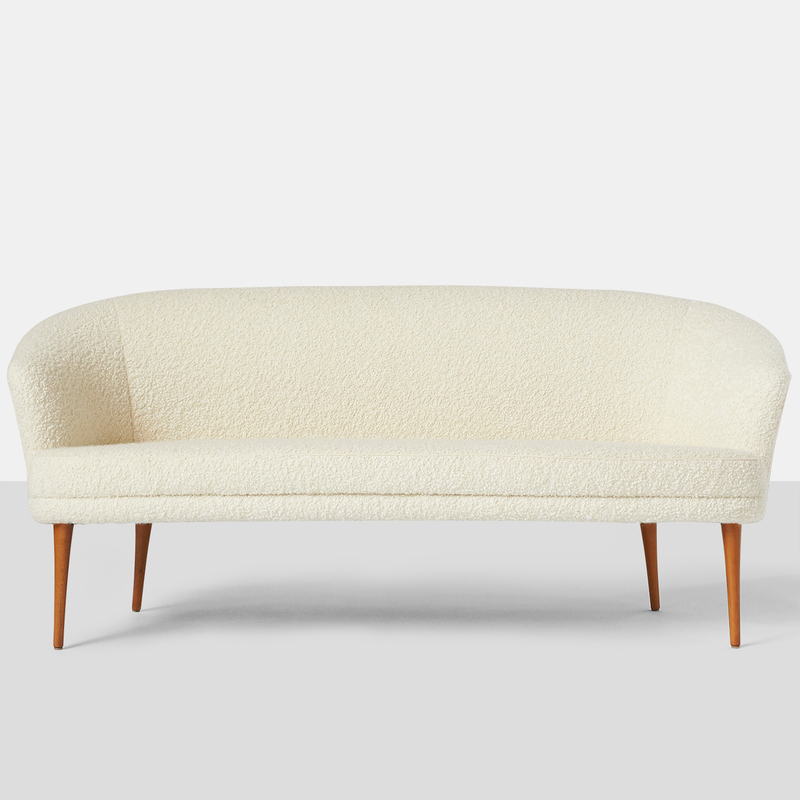 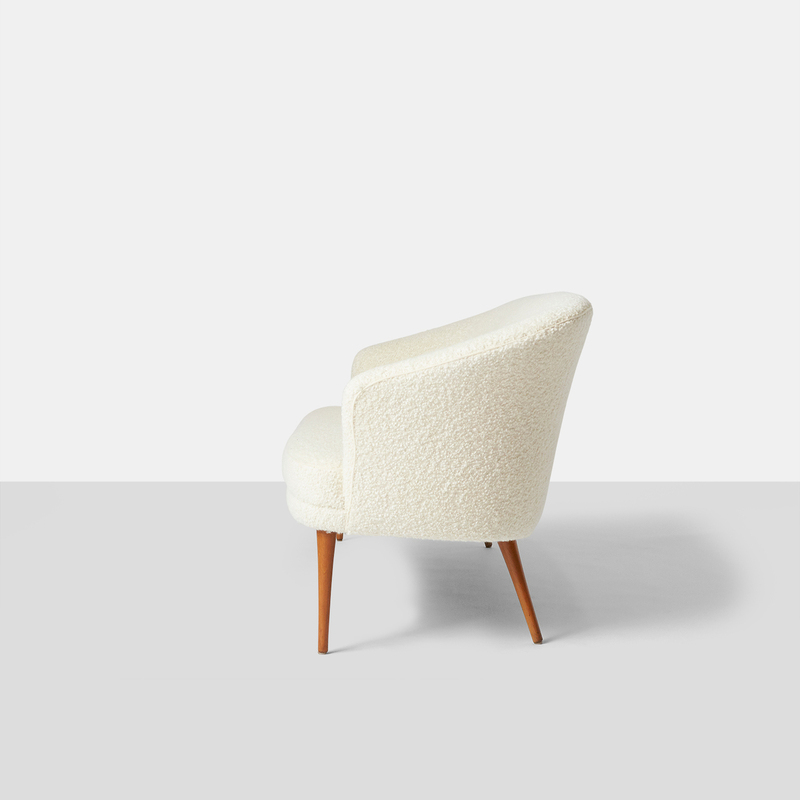 An extremely rare sofa designed by Kerstin Horlin Holmquist for Nordiska Kompaniet. The sofa was designed for the “Triva” series but was never put into production. 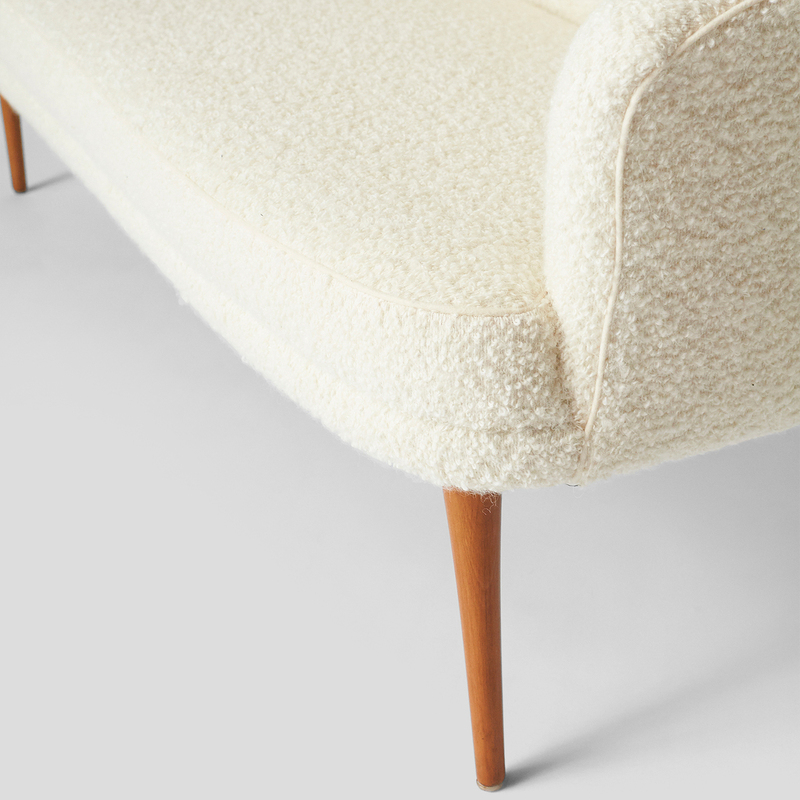 The sofa has been completely restored in a luxurious Sandra Jordan Prima Alpaca fabric with contrast Alpaca trim. 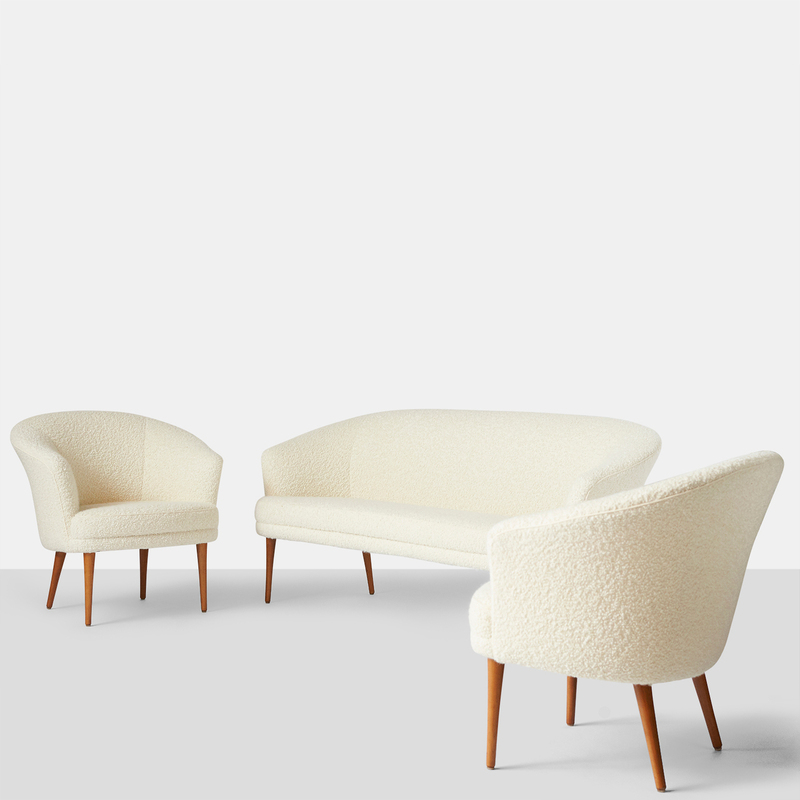 There is a matching pair of chairs available to complete the set. 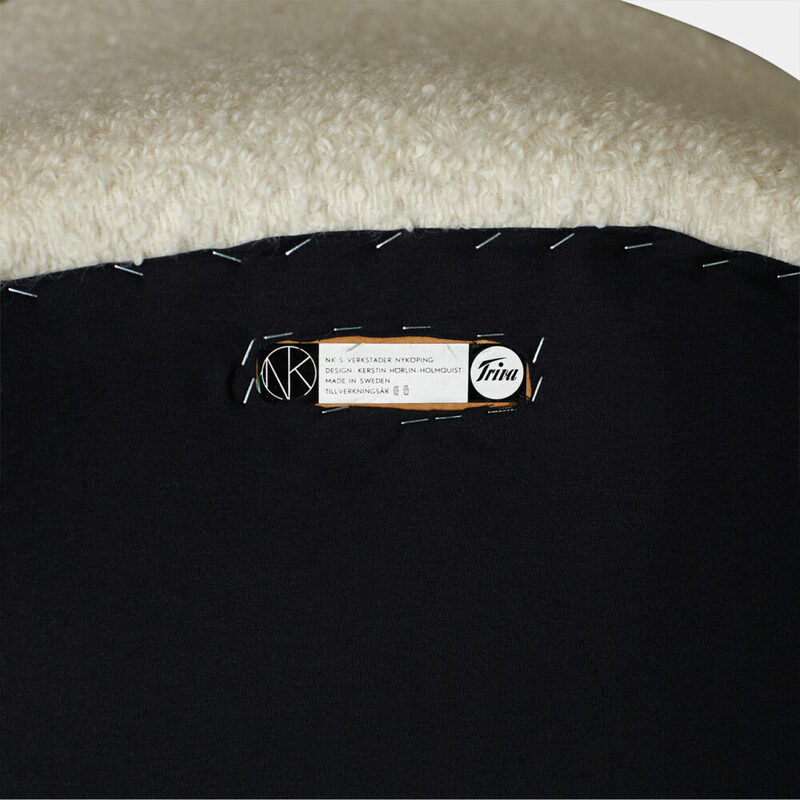 The sofa retains the original label.